Mid-range road bike, designed for riding on the road with a different surface. The model has its own wheels. 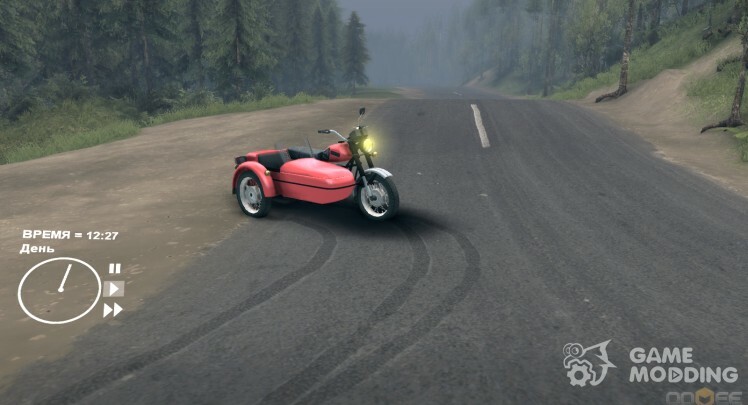 MOD Izh Planeta 5 "to Spin Tires-motorcycle to Spin Tires. 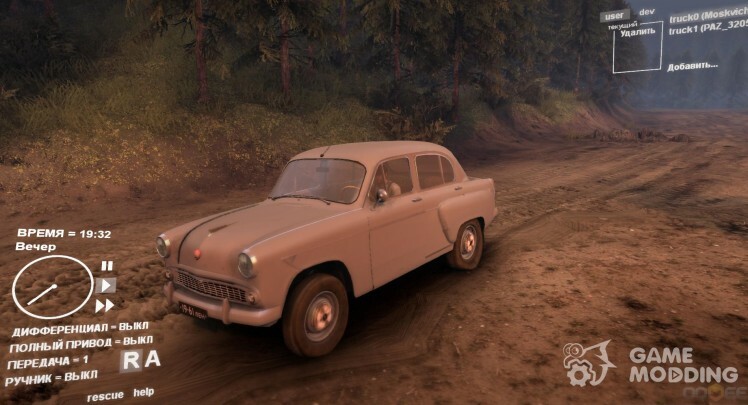 The MOD will be further developed over time, set the light. Truck to Spin Tires. The model has an animation of the suspension and suppression system, would still make the animation trossa, but failed, permeability normal. ZIL-133GÂ-diesel modification of ZIL-133G1 with engine KAMAZ-740 (1979-1992). 2. it is forbidden to take any textures and models parts, parts, wheels, etc. Luaz-969 Volyn is a family of Soviet freight cars small passenger vehicles, vypuskavšeesâ at Lutsk automobile plant in total from 1966 to 2001 years. KAMAZ Master 4911 Dakar Rally to Spin Tires 2013 Kamaz Master version of the Dakar Rally. KAMAZ-Master is a motor racing team, specializing in the participation in rally raids. 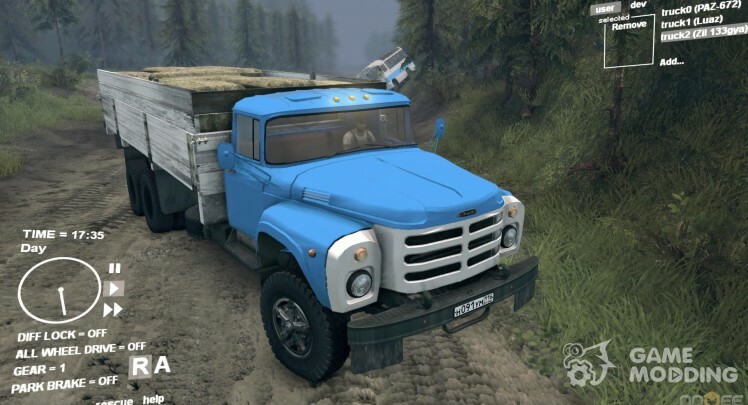 Connected with KAMAZ automobile building, located in the city of naberezhnye chelny, Tatarstan, Russia. 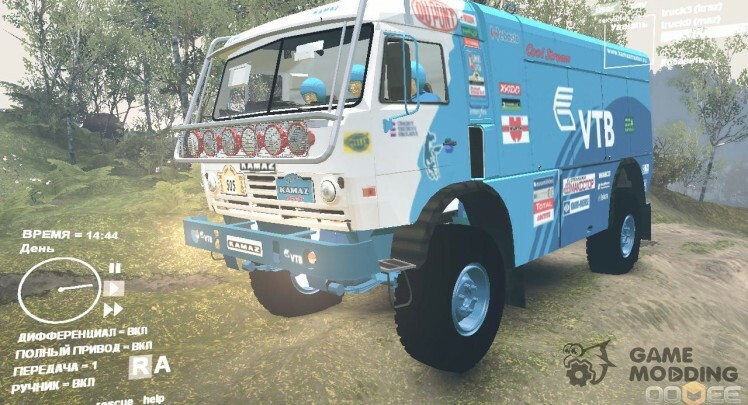 Racing is on the cars of KAMAZ. The crews of the KAMAZ-Master team 11 times became winners of the Dakar Rally (previously known as the "Paris-Dakar"). Has an animation of a spray-suppression system, driver. 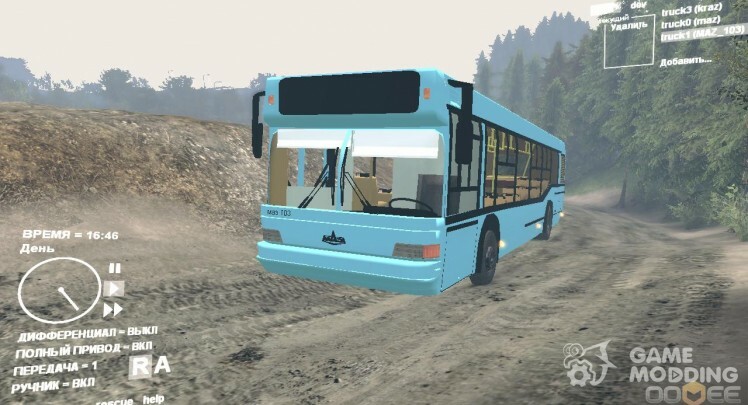 MOD Bus MAZ-103 "to Spin Tires-Build — low-entry (step by the back door) city bus produced by Minsk Automobile plant since 1996 year. Is the base class for the family of several models of varying composition and appointment. Bus to Spin Tires 2013. The animation is a good model, suspension, fenders and driver, the permeability of the average, made on request. 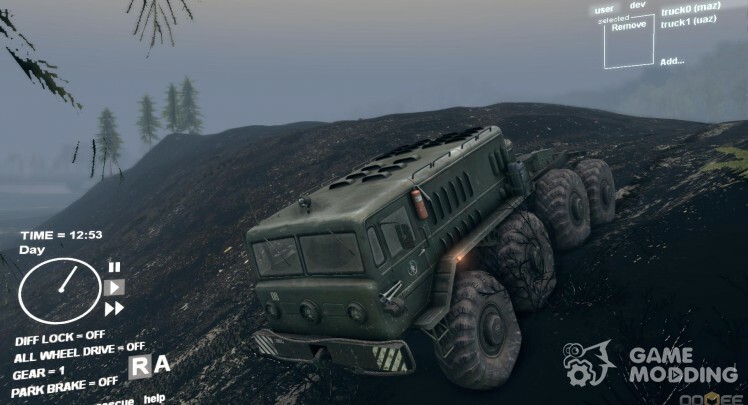 Introducing mod Uaz 2925 for Spin Tires2013 DEV DEMO. Author fashion: by_orion. Passenger car to Spin Tires. 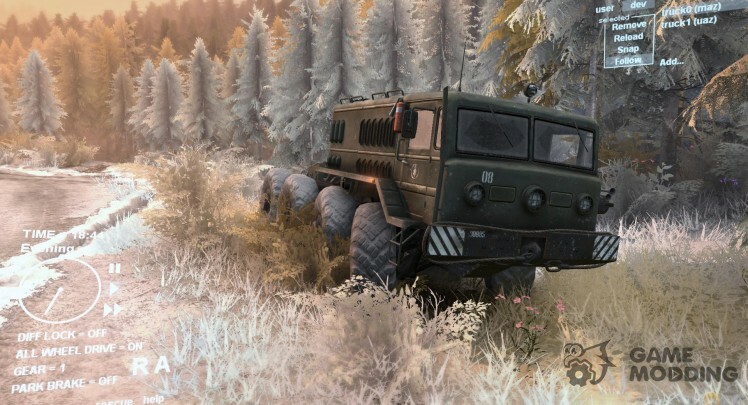 Now there is a new all-wheel drive, good physics and better maneuverability. 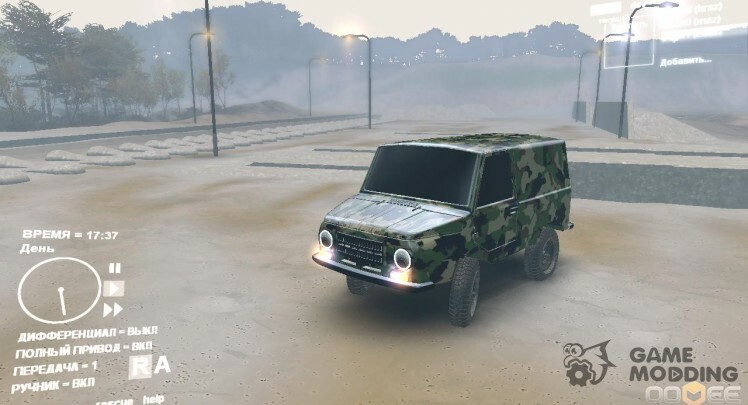 The model has an animation of the suspension, the driver and the spray-suppression system, made on request. 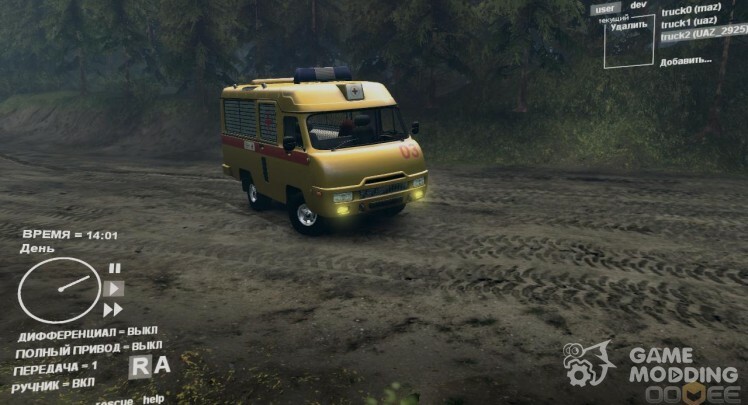 Model, texture: gta 4, gta sa.